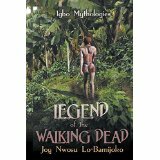 Today I welcome Joy Nwosu Lo-Bamijoko and who’s on tour with her newest book, Legend of the Walking Dead: Igbo Mythologies. Take it away Joy! The people of Ani Ocha pitied Papa Eziugo for marrying so many wives before he could get a child. Even the birth of Eziugo had cost him the life of yet another wife. Eziugo had been practically snatched away from a dying mother who seemed determined to take her along. Eziugo grew up to be a beauty, and every young man in town waited for her to come of age to seek her hand in marriage. Each suitor made sure that he was the most eligible in beauty, strength, or wealth. But Eziugo had made up her mind about who she wanted. When she came of age, she declared Ugonnia as her choice. Eziugo was an Ogbanje, and as an Ogbanje—a minor but powerful god—she expected to get whatever she wanted. If he denied her anything, she could just die and reincarnate wherever she wanted to be born. She could choose how long to live and when to die. Eziugo had chosen to be Ogbanje because it also allowed her to transform into whatever she wanted, anytime and anywhere. She could come and go as she chose. Ugonnia’s life resembled Eziugo’s. But, though an only child, his father hadn’t had to marry ten wives before he could get a son. He too was an Ogbanje, the type that prevented parents from having other children after their birth, who didn’t share their parents with other siblings. Ugonnia, like all Ogbanjes, was very handsome. He loved his beautiful Eziugo, but his parents disapproved of his love. They feared that a marriage between an only son and an only child would bring nothing but disaster, so their engagement causeed great sorrow for Ugonnia’s family. Many believed that Ugonnia’s parents invoked the gods to come to their aid and stop the union. Many also believed that the gods punished them for it. Invoking the gods against Eziugo resembled gossiping about Eziugo before her very face. On the night Gloria arrived, Eziugo was restless and listless, as if in a trance. She floated with feet suspended from the ground, and her spirit moved in and out of her body. Her father watched helplessly, knowing that this night marked the beginning of the end for him and his daughter. Only the gods could intervene. Papa Eziugo went to the gods as he had done many times in the past to plead for more time for himself and for his daughter. There, he learned that the decision of the gods this time could not be revoked. The agent of the gods was already at Ani Ocha to make sure that he ended his long stay, and that Eziugo moved on. The gods had taken notice of his ploy and were angry with him. He’d broken all the rules and had to return. He couldn’t even take his plea to the high god, the Living One, because he knew the consequences of his overstay: he would not be allowed to travel again until he had spent double the time he overstayed. He didn’t want to remain in the spirit, with no identity. He’d come to love the life of the humans, for among them, he was god; he ruled. Ugonnia’s time had come too. Choosing Eziugo, another Ogbanje, as his wife had sealed his fate. He too must go with Eziugo. The gods demanded a great sacrifice. Papa Eziugo watched out for the agent. The one sent to end his stay on Earth had come. He must undermine that spirit. Joy Nwosu emigrated to the United States in 1996 where she taught vocal music and directed three choral groups: Concert Choir, Festival Choir, and Gospel Choir, at Irvington High School, New Jersey. She won several trophies and commendations with her beautiful Festival Choir at various choral competitions in the United States. 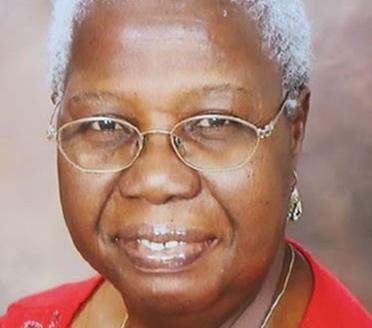 She retired from the Center for Cultural Studies, University of Lagos, as a Senior Research Fellow on November 1, 1997. This article is based on an interview with Dr. Joy Nwosu Lo-Bamijoko here on March 18, 2006. The interview was part of the authors research in documenting the life and works of eminent Nigerian composers, performers and musicologists. This research was the work of Professor Godwin Sadoh. Thanks to Joy for sharing her book today and best wishes on its success! Please take a few minutes to look at this book and support this author.